The process of reimagining the past, as demonstrated in the above image on the back of a delivery truck, is emblematic of how the food industry operates in the western, developed world. Unlike Marcel Proust’s madeleine, however, whose triggered memory was based on an actual memory, our nostalgic reactions today to such images as the one above — a white cowboy rancher, is based more on fiction and fantasy than fact and reality. These two statements may appear contradictory though it should be noted that the latter is graded as “strange-but-fair” (hasan gariyb) as well as mursal (meaning there’s a gap in the chain of narration) while the former is graded as “sound” (sahih). The reason I chose these two narrations is not to just simply demonstrate varying opinions on the status of images in Islam but to show that imagery itself has been a concern within the Islamic tradition. 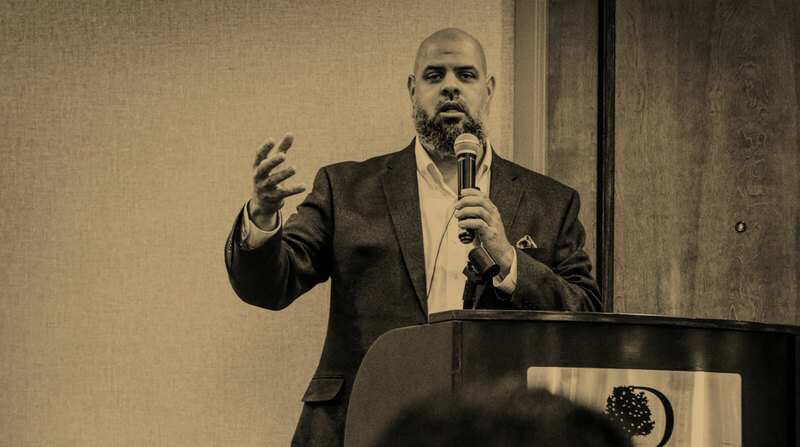 When we combine that with the findings of modern research around food and human behavior, especially in an environment such as ours today where we have an “omnipresence of food”2, we should lend our attention to the impact that imagery has on our eating habits and how those affect our practice as Muslims. “behavior is determined by conditioned emotional responses to images, reflecting prospective gains and losses, that ‘guide and control behavior in a generally sensible, adaptive manner’3“4. There is something about the image, which so effortlessly penetrates our ration decision making process. It is perhaps because so much research has relied on an almost exclusively rationalist approach to the study of how we make decisions, that it has not only missed the mark in providing a critique against the ubiquitous use of imagery in our society, but has altogether failed to bring our attention to the problem as a whole. While there may be no means of solving the image problem, like many challenges in life, perhaps by bringing awareness to the issue we can however combat its effects. “marketing practices are not just a creative idea put forth by marketing managers but are supported by concrete evidence for the link between mental simulations and behavior“5. What Steel is telling us is that we’ve been duped, to a large extent, on what’s going on with our food systems and how we imagine our food is being produced. It’s not all green pastures and cute little animals. It’s massive industrial farms where not only animals are raised and slaughtered with cruelty but also the humans who are called upon to work as little more than cogs in a brutal machine. Far too often the human element is also ignored in this as well, with all of the attention going to animal rights. But what is to be done here? Surely the solution is not the banning of images. Not only would this be impractical, if not impossible in a non-Muslim society, in fact we’ll find the same kinds of images being used to manipulate Muslim populations as well. What is needed is a new generation of food producers, ones are not simply idealists but ones who will actually produce food products that will go to market, that help to bring quality of product with awareness. Perhaps it could simply be integrating gratitude for God’s provision into the system of production. And God knows best. 1. Missbach, Benjamin, et al. “Mental Imagery and Food Consumption.” Frontiers in Psychiatry, vol. 6, 2015. 3. Slovic, Paul, et al. “Imagery, Affect, and Decision Making.” SSRN Electronic Journal, 1998. 4. Mowrer, Orval Hobart. Learning Theory and the Symbolic Processes. John Wiley and Sons, 1960. 6. Steel, Carolyn. Hungry City. Vintage Digital, 2013.